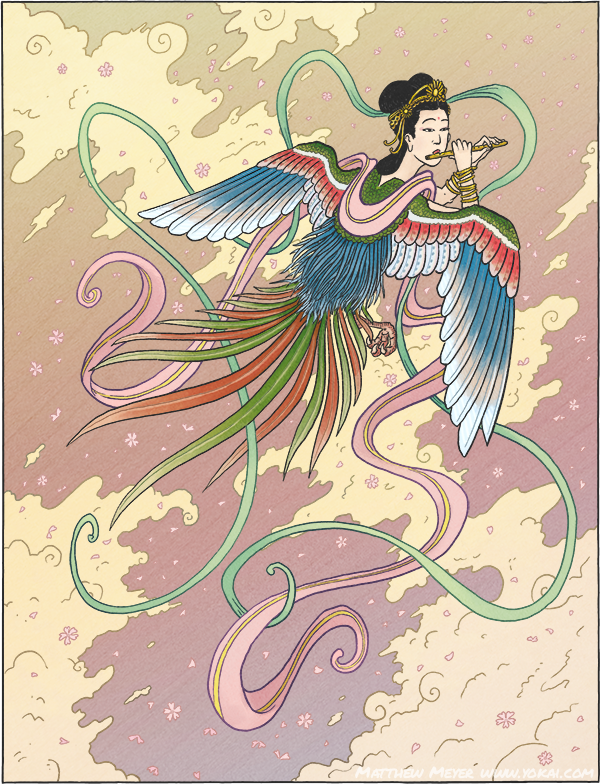 APPEARANCE: Karyōbinga are celestial beings from Buddhist cosmology. They have the head and arms of a bodhisattva, the body of a bird, and long, flowing tail feathers similar to that of a hōō. They live in a realm of paradise called Gokuraku jōdo. BEHAVIOR: Karyōbinga possess voices of incomparable beauty. They begin singing while still inside of their eggs. After they hatch, they begin to dance and play heavenly musical instruments as well. They sing of the holy scriptures and the words of the buddhas. ORIGIN: Karyōbinga come from Indian mythology. They originated in Buddhist scripture, which was brought to Japan from China. They differ very little from their Indian counterparts. They are usually used in paintings and sculpture as symbols of paradise and the Buddha’s words. 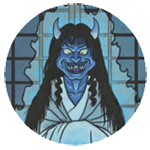 They are a reminder that by living a holy life, one can be reborn into Gokuraku jōdo after their death. Practitioners of Pure Land Buddhism make reaching this paradise their goal. Gokuraku jōdo is a pure land of utter bliss–a celestial kingdom created by Amida Buddha. Its inhabitants can practice Buddhism directly under Amida’s tutelage, listen to the songs of karyōbinga, and achieve enlightenment themselves.